Giant Godzilla Head Warmly Welcomes You To Tokyo! This week we learned that Godzilla is Japan's new tourism ambassador. Now we have a visual! 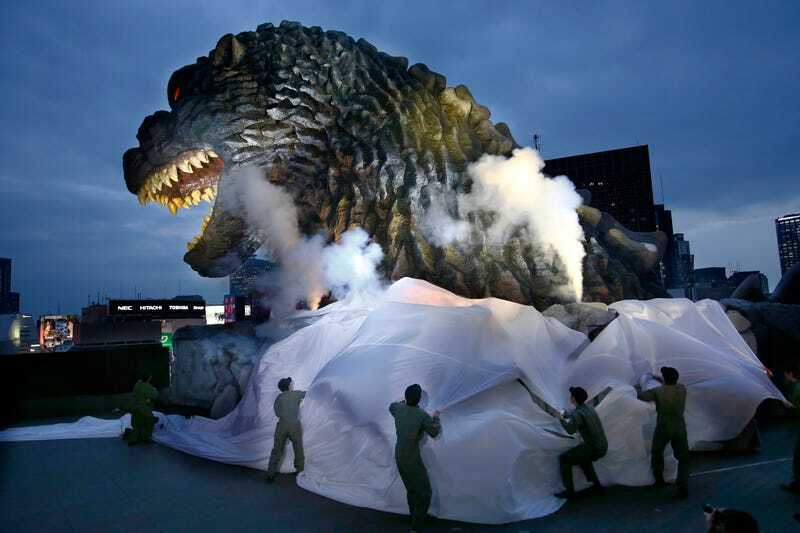 Here's the G-man being unveiled (OK, head only ... 171 feet tall, though) Thursday outside of Toho, the studio that made the original 1954 film.